I remember Skateboarding first time when i was 4 years old. I got one of these old school boards from my family in USA. Raised in a small town just by the ocean south of Gothenburg in Sweden in a family of 5 with father, older brother and sister and with a mother deeply interested in stars, astrology, cosmos and alternative healing methods i started meditating and reading spiritual books at the age of 9. In my meditation i would always imagine a warm beach with palm trees on a sunny day feeling the wind in my hair. My brother Peter and sister Anna were much older than me (14 and 11 years difference so i would look up to them a lot . I remember i felt very deeply and was very sensitive as long i can remember and i have always been feeling in my heart there is something more to this world than just “living and then dying” . At a the age of 11 i began to practise Taekwon-do which quickly took my inner journey for a leap. One summer day in my small hometown i saw people in karate-like suits practising outdoors, i could tell they were very focused and dedicated to what they where up to. I had just started reading Dragon Ball ( Japanese anime with super power martial arts people) so i went straight to them very curious and asked if i somehow could join them to do whatever they were doing i just felt it was for me . In my Luck they were just starting a beginners group the oncoming week and it started . 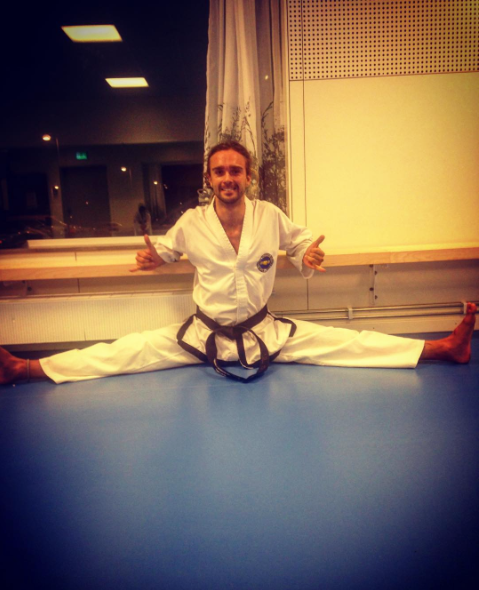 The sport was perfect for me and it was Korean self-defence “Taekwon-do” meaning (Tae=Foot , Kwon=Hand – Do=Lifestyle, Way of living). I fell in deep love with the sport. Compared to soccer and teamsports i tried it had all to do with me and my prestige, i was no longer dependent on other people doing their best it was only Me that had to show up and do it! If i cheated on skipping the excercises no one but me would loose on it. With a lot of attention on the inner world and body, mind and spirit i started to discover what was going on within me, my nervous system was very quick and it took me many years to understand was more sensitive than many other . I started competing in the fighting discipline after one year at age of 12 and won several competitions in the fighting discipline of the sport. In the beginning of 2008 I made a new friend in high school. He was very funny and he claimed that he could fly 10 meters up in the sky meanwhile making several invertions and rotations in mid-air. I told him straight away – Well there is no way that is possible ? He just replied just come with me on Thursday . After school on that day the same week we went with the bus to a beach 20 minutes south from my hometown. First it looked like big birds flying in the sky but as we approached the beach i saw it. There were people out there attached to the big birds and it looked like they were floating on the water with magic carpets or something! Completely free as they were riding along the surface on the water. And Yes they were flying high high up in the sky. I was determined– I will and have to kite no matter what. I sold all stuff i could get rid off and next week i bought my first kite, a Naish Boxer SLE 2007 12m2, which directly became my new best friend i would sleep with it and talk to her daily. Me and my friend were spending every windy day kiting for hours and when it was no wind we would be checking the wind up to 30+ times per day to see if the weather would change. 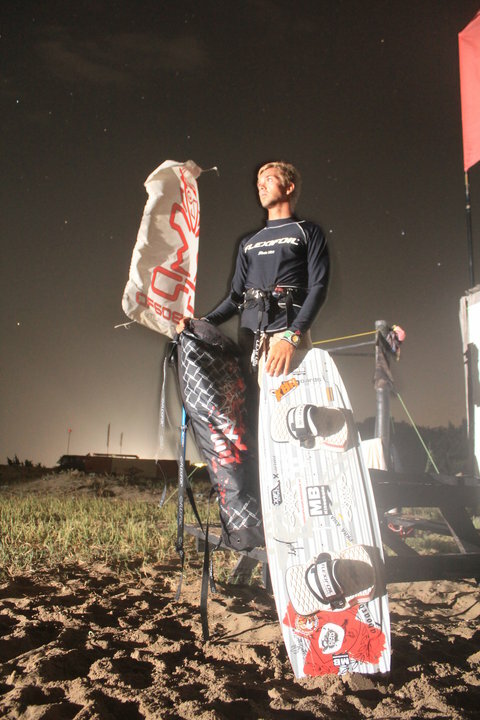 After a couple of months a man came up to me at the beach, he said “Hey kid I really like your style and attitude on and off the water – You want to be on my Kiteteam?” I stood there like a big question mark and just said but im not that good i just started to kite ? He was certain – I believe in you i want you on my team! 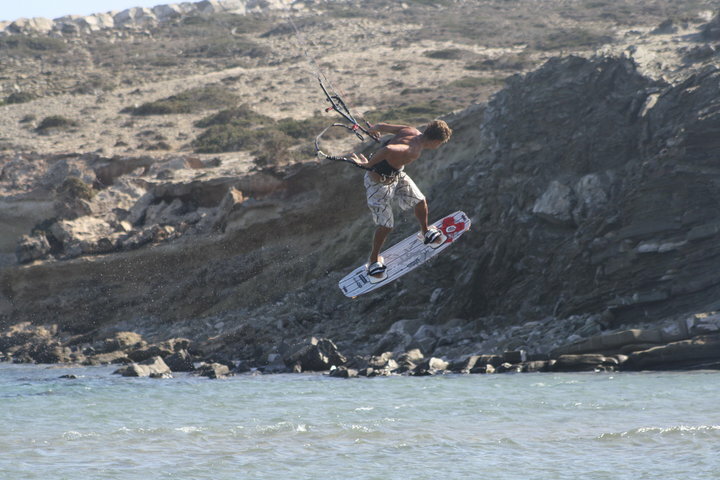 Now i was completely into kiteboarding and after my graduation from high school we spend the whole summers living in tents in the beach Prasonisi in Rhodos island (Greece). The conditions there is absolutely perfect for kite with thermic strong winds blowing basically every day, sun, warmth and many pro riders from all over the world. 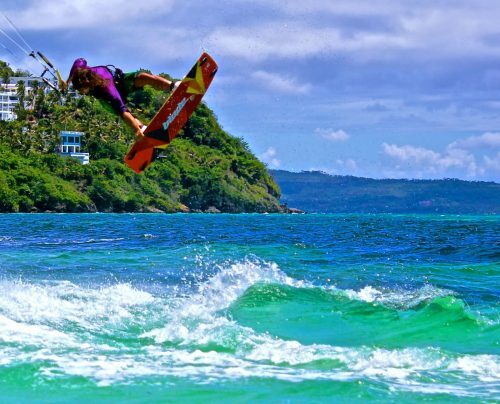 We were all there for one reason – Just to focus on one thing – Kiteboarding 100%. When I came home to Sweden from Australia in 2014 I felt something was missing in my life. I was getting tired of travelling and always being on the move. I needed a greater purpose. But what was it? In the summer of 2016 I finally received my Bachelor the summer of 2017 and decided to move to Ericeira – Portugal. In 2016 I got in touch with Swedish company from 1993 called Biolight. 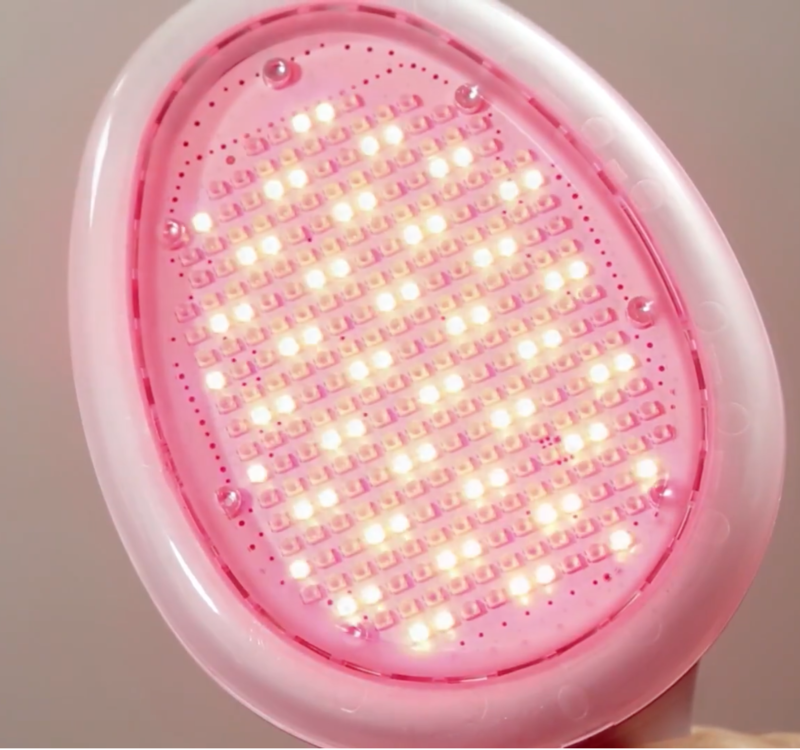 It is a very advanced device with 260LEDs of red and near IR light (637nm & 950nm) With 12 programs in different pulsations and intensity which work on a cellular level and activates the receptors in the cells mitokondrias activating them produce ATP ( energy). Biolight can make the healing process go up to 2 times as fast). Today I still have a great passion for Kitesurfing, Martial arts and Surfing and I live and work together with my beautiful woman Lisanne (www.unravelericeira.com) in Ericeira (Portugal). We complete each other very well and follow our hearts working with healing , massage, yoga, readings and meditation.